OPPO Philippines believes that the youth holds the future. 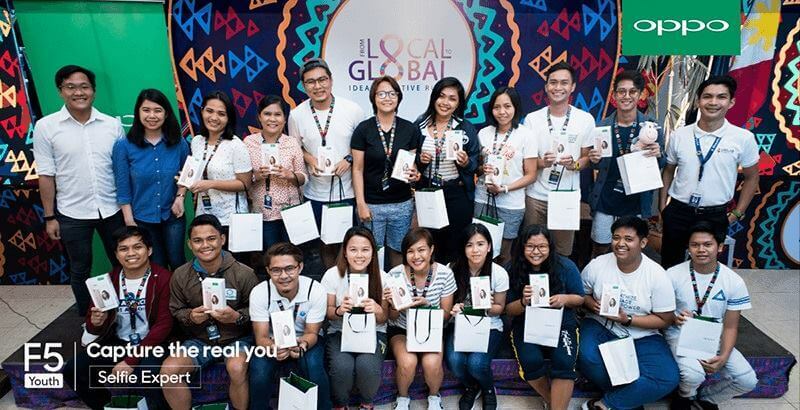 They held their first CSR activity of 2018 by teaming up with Ideas Positive by Unilab Foundations. Ideas Positive is Unilab Foundation's program that aims to engage youth to help create healthier communities in the country. OPPO Philippines donated OPPO F5 Youth units to the young participants during the boot camp. The event was held at Camp Allen, Santa Cruz, Laguna. The smartphones will be used by the participants in capturing and sharing the best moments and experiences within their communities. They also aim to share and spread the word about the health solutions that Ideas Positive are teaching in their communities. We are grateful that OPPO partnered with Ideas Positive. For the past years, majority of our participants use their own mobile phones in documenting their projects. However, not all of them own good quality smartphones that can take quality photos and videos. OPPO’s support this year is a big help to the youth teams in documenting their project implementation. Ideas Positive has been running for 8 years now. They hold a nationwide competition wherein youth teams can develop innovative solutions to health issues prevalent in their communities. From hundreds of entries, only 17 teams will be chosen to participate in a 3 day boot camp. Each of these teams will receive up to PHP100,000 to fund the implementation of their projects. The teams that came up with the best health outcomes will be announced on August 2018 wherein they will receive cash prizes and smartphones from OPPO Philippines.